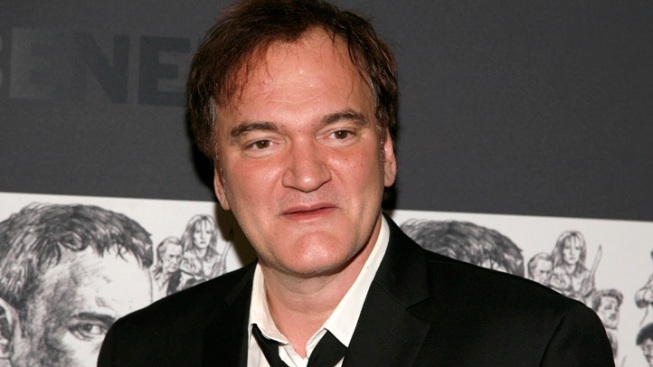 Don't blame Quentin Tarantino for Friday's tragic Newtown, Conn., shooting. The "Django Unchained" director is tired of having to defend his use of violence in film. "I just think, you know, there's violence in the world, tragedies happen, blame the playmakers," he said Saturday at a press junket, per the BBC. "It's a Western. Give me a break." "Django Unchained" star Jamie Foxx, however, disagrees with Tarantino. "We cannot turn our back and say that violence in films or anything that we do doesn't have a sort of influence," the actor said. "It does." Christoph Waltz, another actor in the flick, said that the "media's responsibility is greater than the storyteller is because... 'Django' is violent, but it's not inspiring violence." Kerry Washington added, "I do think that it's important when we have the opportunity to talk about violence and not just kind of have it as entertainment, but connect it to the wrongs, the injustices, the social ills."